Physician formulated Neurcumin® is a unique blend of Eastern and Western health concepts in a single dietary supplement. 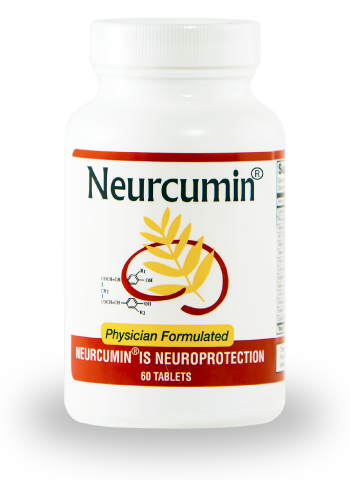 Neurcumin® contains Bioprene, which enhances the absorption of its main ingredient Curcumin by 2000%. Neurcumin® is GMO- and Gluten-free. Neurcumin's® ingredients contain Curcumin, Bioperine, Alpha Lipoic Acid, CoEnzyme Q10, Grape Seed Extract, Green Tea Extract, Calcium, Phosphorous, Vitamin C, Vitamin E, Vitamin B6, Vitamin B12, Folic Acid, and Qercetin. Neurcumin® uses the most efficient methods of order preparation and shipping available, so you receive your order promptly. Please allow one day for order processing. We have a simple, ”No questions asked!” Return Policy. To initiate this process, please call or e-mail us and we will issue a return authorization number. At age 65, I began to feel the joints in my hands swollen in the morning. Over time the swelling got worse. I consulted with Dr. Razack who explained inflammation was present throughout my body. I began using Neurcumin to relieve the inflammation in my joints. He told me it would take about 4-to-6 weeks to relieve the swelling and pain. In just two weeks I began to experience a reduction of swelling in my hands and within about three weeks, the swelling was gone. I now use Neurcumin on a daily basis, and have not had any problems since. Dr. Razack and his team treated me for a brain aneurysm about 5 years ago. I have been taking Neurcumin ever since to help prevent another aneurysm or stroke. I’ve had no further problems and all of my checkups since then have been good. I do not take any prescription drugs and I even feel better energy when I wake up in the morning with Neurcumin. I wish I would have had Neurcumin 13 years ago for my mother. Maybe she would still be here. Dr. Razack is a blessing! Five years ago I began experiencing extreme pain and sensitivity on the lower left side of my body. The doctors told me I had nerve and muscle inflammation, but the medications they prescribed did little to help me. After an exam by Dr. Razack, I began a daily regimen of Neurcumin. After six months, I began to feel the pain and inflammation diminishing. At 16 months, I had hardly any symptoms at all. For the first time in five years I could lay on my left side again, and let me tell you, that is a big blessing. I started taking Neurcumin in May 2012 after suffering a brain aneurysm. I decided to continue taking Neurcumin after healing from the aneurysm, because I also felt a tremendous difference in my joints. I suffer from arthritis that causes pain in my hips and knees. With Neurcumin, I am no longer taking prescription anti-inflammatory drugs. Before I was not able to get out and walk, but now I’m walking 2 miles a day.